Lisa A. Scott, director of clinical education at FSU's L.L. Schendel Speech and Hearing Clinic. 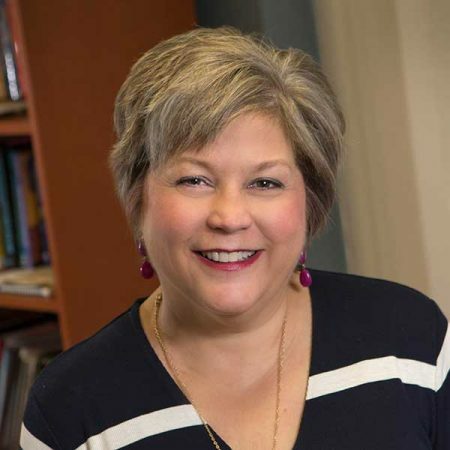 Florida State University’s Lisa Scott, the director of clinical education at the School of Communication Science and Disorders, has received a prestigious award from the Stuttering Foundation, an advocacy group that provides education, training and information to children and adults. Scott received the inaugural Dr. Alan Rabinowitz Award for Clinical Excellence at the 2018 American Speech-Language-Hearing Association Convention in Boston. Scott, a licensed speech-language pathologist and research associate at FSU, was praised for enriching many lives through her work. Fraser described Scott as a driving force in her field, who has skillfully addressed the needs of individuals affected by stuttering, as well as the therapists working to help them.